With the high-energy Latin rhythms of Zumba, exercise just got a little bit more exciting. You can experience a variety of sounds from all over the world in Zumba classes designed to make you sweat, squat, and shake your booty to better health. Below are 10 of the best Zumba classes offered around Washington by individual instructors and studios where you can dance your way to fitness. With a desire to be an extension of your home where comfort abounds, Love to Move Studioz in Bellingham, Washington, takes movement to a new level. Experience instructors show you how to have fun and empower participants to gain positive momentum that builds a more powerful sense of self, better relationships, and a stronger community. New to movement? You can choose a free class (except yoga) to begin your dance adventure. Monthly and annual memberships are available online or at the studio. Come join Ida Henricksen and dance your cares away. 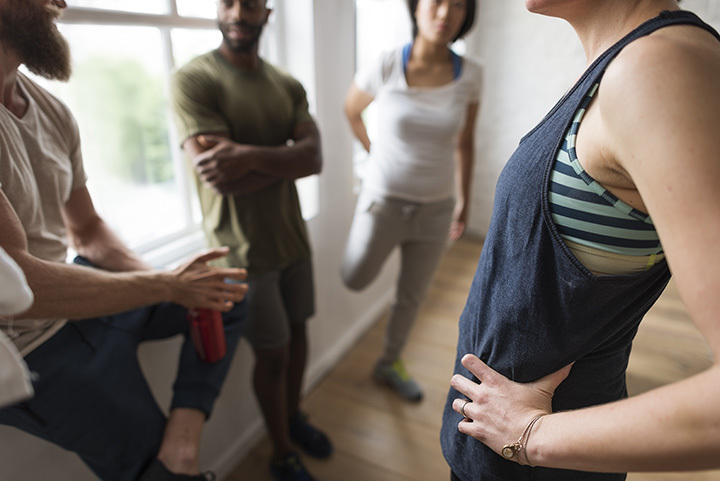 A leader in Zumba classes and other workout routines, Ida offers classes at various locations in Seattle including Basics 1 and 2, Jumpstart Gold, Toning, and Zumbatomic. Her goal is to inspire you to better health through connection with music and movement. Classes are available every day of the week. Check her website for location and time. Classes are only $10 and there’s no need to pre-register. If you’re looking for a full workout fitness center, Thrive Community Fitness is just the place. Hosting a full calendar of activities, Zumba classes are offered several times a week, and a Thrive membership gives you 24/7 access to the facility. One can request a free one-day guest pass to visit Thrive and see what all the fun is about! Melody Condon’s experience with Zumba began when she was in college, where she quickly discovered that this form of movement was a complete workout, but fun and with many benefits. With a medical diagnosis that caused occasion bouts of pain, she also discovered that staying active and moving with the lively Latin American music associated with Zumba helped her work through her condition. She’s been an independent instructor since 2015, and is certified to teach a number of different Zumba classes. You can find out where Melody is holding classes by visiting her website. Work out to lively Latin rhythms at Crunch. Join one of the high-energy fusion dance classes featured at this community-based fitness center where people gather with one purpose in mind—to be the best they can be. You’ll find a very diverse group of people participating in classes including Zumba, and monthly membership starts at $9.95 per person. Fit Republic is more than just a fitness center. It’s a journey toward better health and wellness in a country club setting without the high prices. With a 75,000-square-foot facility in a two-story building that feature cardio workout areas, a full basketball court, Olympic-size pool, and massage area, adults and children can take part in movement and fitness classes that will help them reach their personal goals. Experience coaches use high intensity movements like those found in energy packed Zumba classes to build relationships and encourage you toward meeting your individual goals. Attention Zumba lovers! Veronica Lebednik hosts a 90-minute high energy Zumba class at Thrive Community Fitness in Anacortes, Washington. This fun-filled class is open to everyone and you don’t have to have any dance experience to participate. Even if you’ve never experienced a Zumba class before, you’ll have fun dancing your way to fitness with others. Check Veronica’s website for days, times, and details. The possibilities are unlimited at Limitless Fitness in Lynnwood, Washington. All the classes offered at this fitness facility are designed to help you reach your personal goals, push you just a little to get there, and build in fun and a sense of community in the process. The experienced coaches there understand that having a healthy mind and body helps you enjoy life. There are several membership packages available for groups and individuals, private and couples training, drop-in classes and virtual training. Open every day except Sunday. Do you dream of having a better body? Are you looking for a place where you can set goals, work hard to achieve them, but have the encouragement of others and fun at the same time? You need to visit Pure Barre in Bellevue, Washington where there’s something for everyone. When you join others at Pure Barre, you’ll be part of a full-body workout designed to focus on the problem areas most people have. Founded by a dancer and fitness guru in 2001, each class emphasizes a lifestyle of fun, high energy activity, and music. More than the typical CrossFit gym, the instructors at Northwest CrossFit at Interbay in Seatlle, Washington believe that complete fitness comes from lifestyle changes that lead to being healthier, stronger, and more flexible. Every class offered there has those changes at the center, and the carefully selected instructors are knowledgeable and helpful in working with you to achieve your goals.